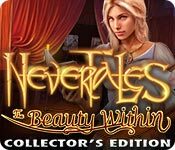 Nevertales: The Beauty Within Collector's Edition is rated 4.8 out of 5 by 288. Rated 5 out of 5 by cestqui from excellent collector's edition This game offers a good length of game play, and many nice options. A feature that I really enjoy is being able to go back and replay scenes to find a missed morphing object or collectible so bonus points for that. It also gives a nice variety of puzzles, with a reasonable level of difficulty. Rated 5 out of 5 by Ravensmoon666 from Nevertales blew me away with it's artstyle and gameplay. This was my first Nevertales game and it certainly will not be my last. I loved almost everything about this game. The artstyle was just perfect, it was beautiful and colourful yet realistic without being too crowded. The puzzles where new and challenging, my personal favourite was the constellation mini-game. This game has plenty of extra content, with not only one but TWO "Bonus chapters", and three pages on Achievements this game will keep you busy for a long time. The only complaint I have about this game is there is an achievement for completing a "speed run" and requires you to play the game in X amount of time, but you cannot replay the game without making another profile completely, otherwise this game is currently my favourite out of the games I have played and I highly recommend it. Rated 5 out of 5 by RavenNight10 from The best Mad Head Game This is my favorite game. As a bibliophile this game was perfect for me - a chance to fall into a book! I also loved the character of Pierre. The beauty of the rooms especially the window of hidden objects is beautiful. The bonus game is worth the CE price. 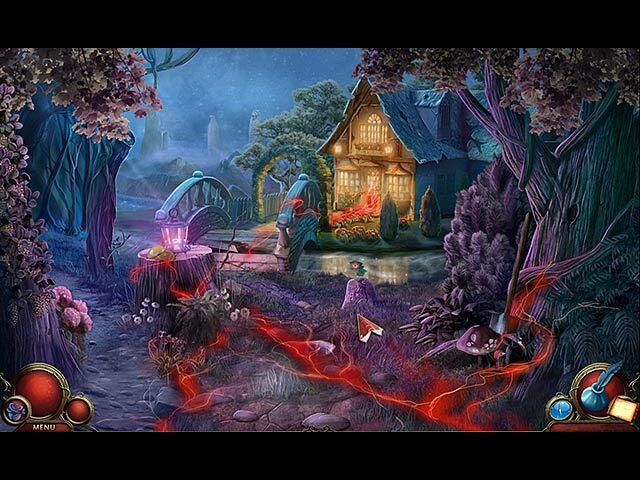 This is one of the few hidden objects games that I have played more than once. Rated 5 out of 5 by Kay_Erin from Still a winner! I know this game was put out a couple of years ago, but as new fishies may not have discovered it, I want to heartily recommend this game. 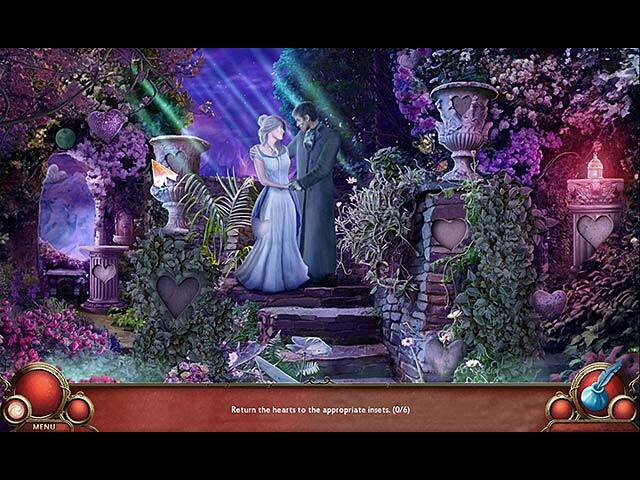 TITLE: NEVERTALES: BEAUTY WITHIN CE DEV: Mad Head Games HOW MANY SETTINGS? 4 including custom GRAPHICS: Superb MORPHING OBJECTS? These are hidden pink and white whirligig balls in every HOS. There are 28 in all; I got 24. These you cannot get later. Hint: look at the bottom left hand corner before you leave a HOS to see if you have collected it. I usually save some object that is obvious and don't click on it until I've found the whirlygig. Obviously 4 times I forgot! COLLECTIONS? A Rose in every scene. If you miss these you can go back and collect them later. Then there is a jigsaw to complete. PETS/HELPERS: Mechanical Owlet who flys and gets things for you that are out of reach. MAP: Yes, and interactive PUZZLES: The standard, but well done and enough for this intermediate/sorta-expert player! STORY LINE: A baby is left on your doorstep, by someone you see in a car speeding away when you open your door. You grab your keys and the baby and tear off after him; to a scary castle and magical worlds MY TAKE: This is a marvelous game, sure to be a favorite to play over. In addition to the bonus game, you get 3 hidden traditional gamelets: Sleeping Beauty, Ali Baba’s caves and Hansel and Gretel. You have to look around for them, be sure you explore where the prizes are kept and drag your mouse to the edges. I still don’t know if I got everything! But it did say I had completed all three game sections. I give this game a definite 5 stars! And just in case you don't identify with the hero, I dare you not to get at least frustrated in his final confrontation scene! LAST PLAYED: October 2, 2015. Highly recommended! Rated 5 out of 5 by sherekeewoman from Best Game I've EVER played! The CE edition is well worth the purchase. This is the first review I've ever done and I've played somewhere around 40 games. This is by far the BEST game ever. There is so much content, then you get a bonus chapter, THEN 3 hidden bonus chapters! If only all games could be this cool... EXCELLENT! Rated 5 out of 5 by TrinnyGamer from Just WOW! I am always looking for fun new puzzle games and this one is one of the best out there. I play these games just for the puzzles, dislike hos a lot. Great, new puzzles in addition to some old. Not too many hos. Great scenery. Cool storyline. But best of all, fun puzzles. Rated 5 out of 5 by AforAllie from An exciting magical game This game is special. The music is exceptional. The puzzles are original. The storyline is emotionally engaging. The bonus chapter and the extra play makes it worth it to get the collector's edition. 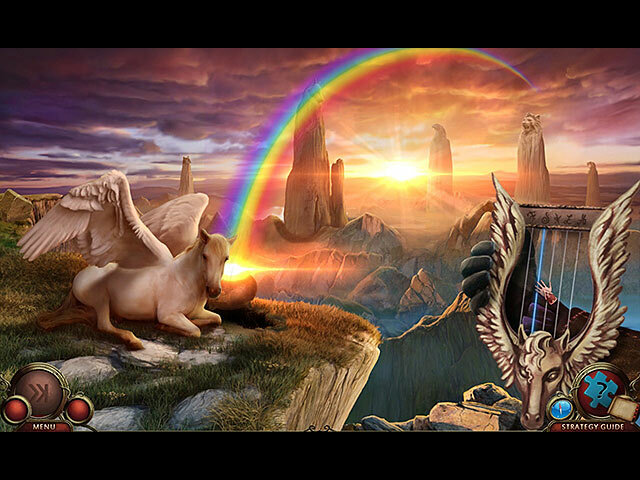 If you like books and fairy tales, this game is for you. Rated 5 out of 5 by lalarisso2 from This Game is a HIT ! I really enjoyed this game, it is unique in its HOP's they are different from anything I've played. The graphics are great and it is a long game with great extra game play. I highly recommend this game ! !